This is one of my favorite summertime grill recipes. 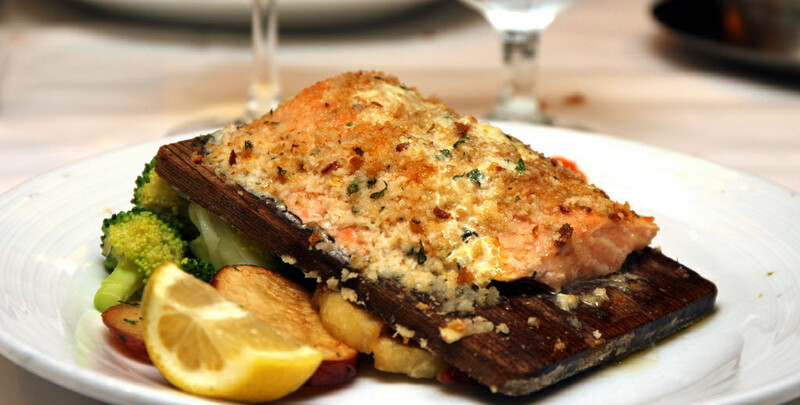 The cedar plank gives the fish a subtle depth of flavor that works really well with the sweet-’n’-tangy mustard sauce. You can find cedar grilling planks at your local grocery store. *NOTE*: make sure your plank is specifically a grilling plank. Cedar you get from a hardware store or your neighbors DIY project may be treated with chemicals that will give your meal a flavor you’re definitely NOT looking for. *optional* dash of cayenne pepper for some heat! Set grill up for indirect medium-high heat. Place cedar plank in the center of the grate, but not directly on the heat. Grill 20-30 minutes or until salmon reaches internal temperature of 135 degrees.